The 'Pose' consultant and Lil Kim designer built his own community through love. 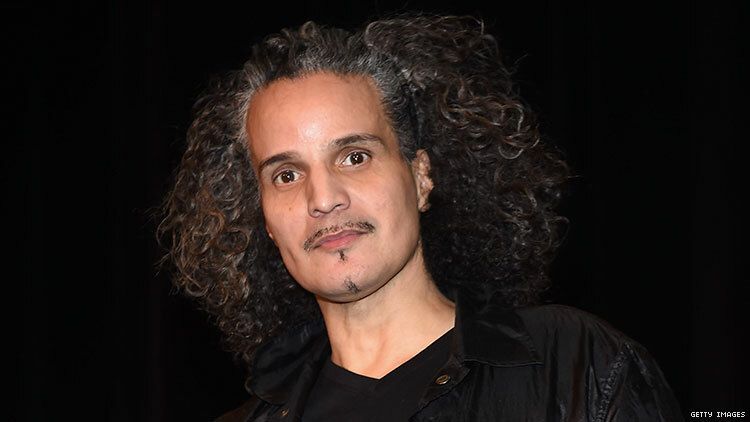 Hector Xtravaganza, a power player in the ballroom community for nearly 40 years, died on December 30 at the age of 60 the House of Xtravaganza has announced. “It is with profound sadness the House of Xtravaganza family announce the passing of our beloved Grandfather Hector,” the official statement from their Facebook read. “He was a friend to everyone he met, a source of inspiration for all who knew him, and a cornerstone of our House family.” The House did not specify a cause of death. Hector is a pioneering icon of the ballroom community, the most exalted title to be bestowed on community members. Having attended balls since Dorian Corey took him to his first one in 1979, his résumé spanned a variety of categories including body, fashion, and face. And though he stopped walking categories as he got older — taking roles like the father of the Xtravaganza in 1997, and then the grandfather (to give space for current house father Jose Xtravaganza) — he never ceased to remind anyone who listened that he still had it. “I’m still moist,” he would say after having been called up to stage for legends, statements and stars (a segment at the beginning of events that recognizes notables) or to receive an award at a ball. He would then run a finger down the curve of his nose or push back his long hair. He was a multi-hyphenate in and out of ballroom, designing outfits for stars like Lil’ Kim (he did her fur bikini in the “Crush On You” video) and Foxy Brown, as well as helping design window displays for stores like Bloomingdales. Recently, he also served as a consultant on Pose, adding historical legitimacy to the show — he also appeared in the ballroom documentaries Paris Is Burning as well as How Do I Look. But as much as creativity and performance were important to him, it was the family and unity that ballroom provided that Hector was so passionate about. “For me, Xtravaganza is a home; not a house, it’s a home,” he told me on set at a photoshoot for Aperture magazine in August. We were shooting the whole house and Hector was playing wrangler, chatting with me while hopping between Spanish and English to give directions to other house members. “It gave me a platform to believe in family, whereas my biological family rejected me from the beginning. This really began to be a place where I feel like I belonged, and still belong.” That connection meant so much to him that he eventually changed his legal last name to Xtravaganza and tattooed the moniker “Grandfather Xtravaganza” on his arms. Having joined the ballroom community in 1979, Hector was friends and family with the Xtravaganzas before there was ever a name associated with the group. “We were family first, before we gave each other a name,” he said. “We got a name because of the politics of ballroom but we will always be family.” In 1982, when the house was founded, he was one of the original members under house parents like Hector Valle, the founding father, and Angie Xtravaganza, founding mother. Originally named Extravaganza (the E was dropped), the house was the first mostly-Latin house in a mostly-black community, but has since diversified. As the ballroom community has grown, Hector has made it a point to keep the family aspect front and center for Xtravaganza. Projects like the Aperture shoot as well as house vacations like a weekend in Virginia were important to him. Along with Coko, the grandmother of Xtravaganza, he also helped to plan an annual picnic. But the Xtravaganzas weren’t the only ones to feel Hector’s influence. He has been an activist, helping to raise money and awareness surrounding HIV since at least the 1990s after having seroconverted in 1982. Most recently, he appeared in an ad for the New York City’s Department of Health and has been a part of the Latex Ball — an effort that raises HIV awareness specifically in the ballroom community — since it began. “I have a lot of gay kids outside of the house,” Hector told me. In the ad, he appears alongside Luna Luis, who was one of his many gay children that was not an Xtravaganza. “They all have kids so I'm their grandfather.” The result: he’s called by some the “Grandfather of Ballroom” providing advice and guidance to anyone who would listen, and even some who wouldn’t — in addition to Xtravaganza he took on the role of grandfather and godfather to other houses as well. He’s taken his children and grandchildren in to live with him while they get on their feet at times and constantly reiterates the importance of family over politics in the scene. “Once you’re my child, it’s a lifetime thing,” he told me in the first phone interview I had with him in April. That deep, meaningful, and sometimes humorous connection is no doubt why his death has impacted everyone who knew him, with an outpouring of condolences on social media from the likes of Laverne Cox, RuPaul Charles, Ryan Murphy, Steven Canals and countless in the ballroom community. All from a family he created. Rest in power Hector Xtravaganza.